The Mitcham Junior Football Club is pleased to announce that Craig Love (father of Billy) has been appointed the second of our U8 coaches for season 2017. Craig will be taking charge of our U8 Black team which is mainly comprised of boys from Antonio Park, Mitcham, Rolling Hills and Rangeview Primary schools. Craig is a local boy who started is footy career at the same age as the boys he is now taking care of. He played an outstanding 130 games of junior football with Beverley Hills football club, which included a number of stints with representative teams. His football career was looking bright when he joined the Fitzroy U19’s in 1986 only to be interrupted by a couple of knee reconstructions. 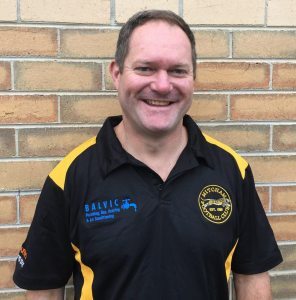 Returning to local footy in the early 90‘s he played a number of seasons with Donvale whilst also serving on the committee. Craig has served his apprenticeship as an Auskick coach for a number of years and is super excited about coaching his own U8 team this year. As Craig stated “The main thing we want to achieve this season is that every boy improves his football and that all the U8’s have great time together”. Join us in congratulating Craig on his appointment and we look forward to a great season for his U8 Black boys.